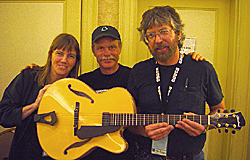 In the fall of 2000 I attended a week long intensive archtop building course co-taught by Linda Manzer and Tom Ribbecke. At this course, I was able to learn all aspects of archtop guitar construction from two of today's finest archtop builders. I have been a full time guitar builder since 1998. 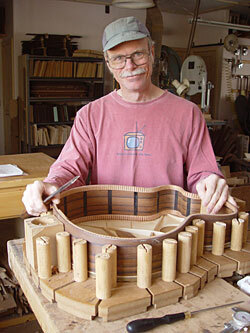 When building a guitar today, I draw from a lifetime of handcraft experience, many years of lutherie practice, and a collection of the finest tonewoods from around the world.